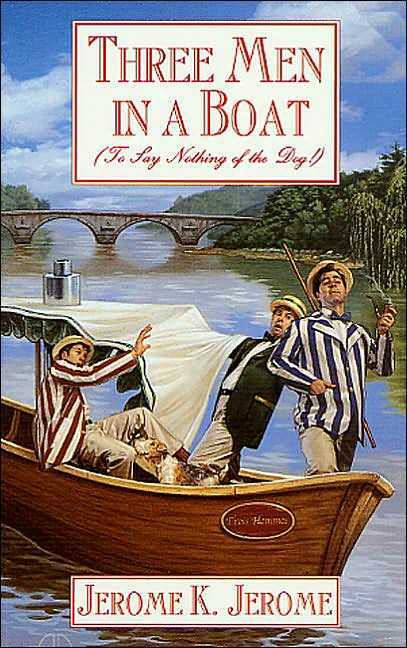 One of the funniest novels ever written, Three man in a Boat (To say Nothing of the Dog),1889, has scarcely dated since its first publication when it was celebrated throughout Europe and bootlegged in America. it started life as a piece of travel writing. 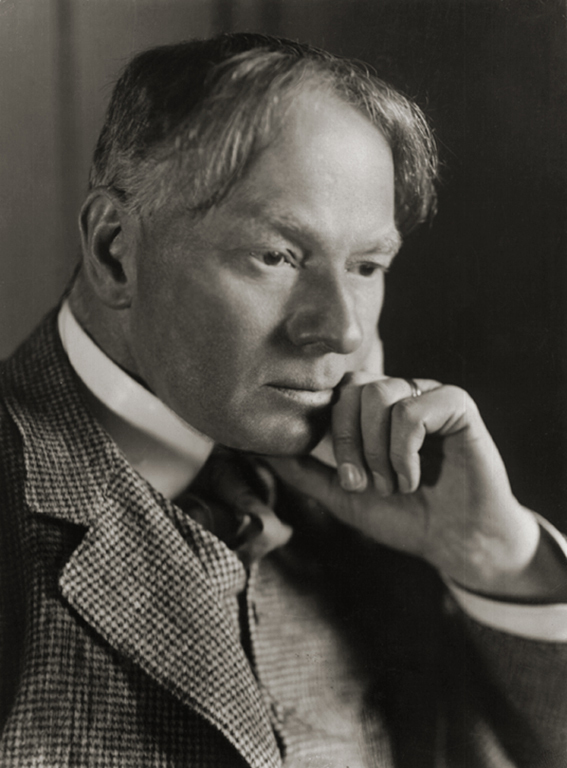 Jerome K. Jerome remarked in his My Life and Times that "I did not intend to write a funny book... the book was to have been 'The Story of the Thames', its scenery and history", but as he began writing, it took on a life of its own. Narrated by J., it is the hilariously chaotic story of a sojourn taken on the Thames from London to Oxford with his weary inept friends George, Harris and the dog Montmorency. The novel is a series of often very funny vignettes that recount the many scrapes the men get involved in. Rather than the situations, it is jerome's prose that is the real attraction here. He finds humour in the most banal of objects from a tin of pineapple chunks that is impossible to open, to the description of his friend's day's work: "George goes to sleep in a bank from ten till four each day except Saturdays, when they wake him up and put him outside at two". Jerome Klapka Jerome, best known as the author of 'Three Men in a Boat', one of the great comic masterpieces of the English language, was born in Walsall, Staffordshire, on 2nd May 1859, the youngest of four children. His father, who had interests in the local coal and iron industries and was a prominent non-conformist preacher, had moved to the town in 1855 and installed the family in a fashionable middle class house in Bradford Street where they lived in comparative comfort until 1861. Following the collapse of the family business, the Jeromes moved first to Stourbridge and thence to Poplar in the East End of London where he was brought up in relative poverty. Jerome left school at fourteen and worked variously as a clerk, a hack journalist, an actor ('I have played every part in Hamlet except Ophelia') and a schoolmaster. His first book 'On the Stage and Off' was published in 1885 and this was followed by numerous plays, books and magazine articles. In 1927, one year after writing his autobiography 'My life and Times', he was made a Freeman of the Borough of Walsall. He died later the same year and is buried in Ewelme in Oxfordshire. Though a relaxed, urbane man, Jerome was a relentless explorer of new ideas and experiences. He travelled widely throughout Europe, was a pioneer of skiing in the Alps and visited Russia and America several times. He was a prolific writer whose work has been translated into many foreign languages, but as Jerome himself said: "It is as the author of 'Three Men in a Boat' that the public persists in remembering me." this publish used to be good. I don't recognise who you might be however certainly you're going to a famous blogger for those who aren't already. Cheers! could write a litte more on this subject? I'd be very grateful if you could elaborate a little bit more. Kudos! Safari, it looks fine but when opening in IE, it's got some overlapping issues. I just wanted to give you a quick heads up! Aside from that, wonderful blog! AOL? I need an expert on this space to unravel my problem.